There's a wide range of nursing jobs and types of specialties found throughout medicine and healthcare fields. Many nursing jobs are with hospitals, outpatient clinics, doctor offices, nursing homes, and other medical facilities and practices. A certified registered nurse anesthetist (CRNA) works with anesthesiologists and surgeons, including plastic surgeons, podiatrists, dentists, and various medical professionals. The CRNA works in various medical environments, such as hospitals, outpatient centers, mobile surgery centers, doctor offices as well as US military medical facilities. The primary function of a CRNA is to oversee the safe administration of anesthesia during surgical procedures. A CRNA administers anesthetics (local and general) as well as spinal/nerve blocks and epidurals. The patient's pain management is the CRNA's responsibility before, during, and after surgery. The CRNA provides anesthesia during non-surgical procedures, such as diagnostic and therapeutic procedures. A certified nurse midwife (CNM) provides pre-natal and post-natal healthcare for women. The CNM can also provide lifetime healthcare to women patients. The CNM work environments include, hospitals, medical centers, doctor offices, nurse practitioner health agency, military, private practice, and community health centers. The CNM provides total support to the expectant mother that can include emotional and psychological support. The health of the expectant mother and unborn baby are monitored throughout pregnancy and childbirth. The CNM performs physical examinations with diagnoses and provides prenatal care, education, and counseling. Managing the patient's medical condition may include writing prescriptions, depending on state laws. The CNM is in charge of the patient's labor and delivery and provides newborn care (28 days). The CNM assists the new mother in any infant care related issues, such as breastfeeding. CNM also provides non-pregnancy healthcare, such as STDs (Sexually Transmitted Diseases) to both partners and healthcare for perimenopause and menopause. According to All Nursing Schools, a Licensed Practical Nurse (LPN) and a Licensed Vocation Nurse (LVN) job duties are the same. In California and Texas the title used is LVN. LPNs are trained to work in a wide-range of healthcare duties. LPNs work in hospitals, healthcare clinics, physician offices, nursing homes, military, traveling nurse, and home healthcare provider. LPNs assist doctors and registered nurses (RNs), keeping them updated on a patient's status. An LPN is responsible for updating and maintaining patient medical records and other related documentation. Attending patient wound/surgery dressings, bathing and other grooming activities are the LPN's responsibility. The LPN takes vital signs, monitors a patient's medications/reactions, sets up IV drips, and maintains medical equipment used by doctors and RNs. A nurse practitioner (NP) can work with a physician or in 26 states, can have an independent practice. A NP provides lifetime healthcare to a patient as the primary care provider. A NP typically practices in a medical specialty, such as pediatrics or women's health. A NP can write prescriptions for any drug, perform procedures, conduct physicals, and provide immunization programs. A NP offers clinical services, such as diagnosing and treating patients, preventative healthcare, and ordering/interpreting diagnostic tests. A nurse supervisor (NS) performs administrative duties to achieve human resources objectives for nursing and oversees the quality of patient care provided by the nursing staff. Positions are available in hospitals, senior living communities, assisted living facilities, clinics, nursing homes, and as a traveling nurse supervisor. The NS is in charge of overall patient services and quality of care given to patients, including patient files/records and all procedures. The NS is responsible for selecting nurses, onboarding/training new hires, conducting performance reviews, taking disciplinary action, scheduling/assigning nurses to patients, maintaining records for expenditures, meeting budget requirements, and other supervisor duties required to implement policies and procedures. Nursing home nurses must be a Registered Nurse (RN) or Licensed Practical Nurse (LPN) and are usually trained in geriatric care. The basic responsibilities include assessing and evaluating the needs of residents and interacting with residents' families concerning healthcare needs. If job title is Head Nurse, the RN works under the supervision of the facility medical doctor. An RN oversees LPNs and other healthcare employees and schedules/assigns LPNs and CNAs (Certified Nurses Assistants) to residents. The RN works with LPNs to strategize, plan, and then implement a treatment and care program for each resident. RNs administer all medicines, prepare IVs, administer injections, draw blood, and take vital signs. Home health nurse (HHN) specialty is open to RNs, LPNS/LVNs, and CNAs. These professionals provide healthcare to patients living at home. A wide range of specialties are applicable to this type of position. Some HHNs are also Home Health Clinical Nurse Specialists or Advanced Practice Nurse (APN) although neither is usually required. However, some positions may require acute care experience. HHNs work under the supervision of a medical doctor and assist in developing a plan for patient care. 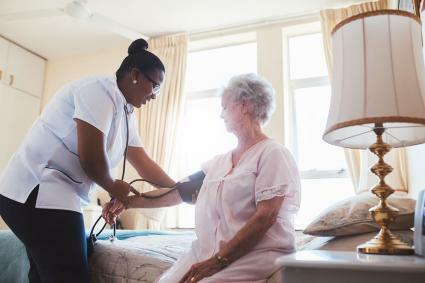 Patient in-home care provided includes physical assessments, directing and overseeing LPNs (LVNs) and CNAs, as well as hospice services for terminally ill patients. HHN's take vital signs, draw blood for labs, administer medications and intravenous infusions, and attend to wound/surgery care. HHN's oversee bathing and other grooming necessities. HHNs work with patients, physicians, families, and other healthcare professionals actively involved with the patient's in-home care. A legal nurse consultant (LNC) is a Licensed Registered Nurse (LPN) who assists in legal issues. The LNC provides a professional analysis of a variety of medical-legal situations/cases, such as injuries resulting from nursing services or related healthcare services. The LNC participates in interviewing clients, analyzing medical records, creating summaries, and producing other documentation pertinent to medical-legal cases. The LNC testifies as a nursing expert in medical-legal cases. An LNC researches malpractice cases, prepares case medical documents, reviews expert testimony, and provides medical expertise and insight to lawyers and clients. A registered nurse (RN) is responsible for a patient's overall care and healthcare and reports to a medical doctor. RNs often pursue a medicine specialty. RNs work in hospitals, physician offices, clinics, schools, and as a traveling nurse. RNs dispense medicines, oversee a patient's progress and recovery, and maintain/update a patient's medical records. RNs instruct and educate patients about their illness and home care required once discharged from the hospital, clinic, or physician's office. RNs alert the attending physician to any changes in the patient's recovery process. A traveling nurse contracts with hospitals, in-home patient care, nursing homes, clinics, and other medical facilities. Typically, the greatest need for traveling nurses are for LPNs (Licensed Practical Nurses) and RNs (Registered Nurses). However, other nursing specialties are often needed. The traveling nurse's duties are the same as those of an RN or LPN. 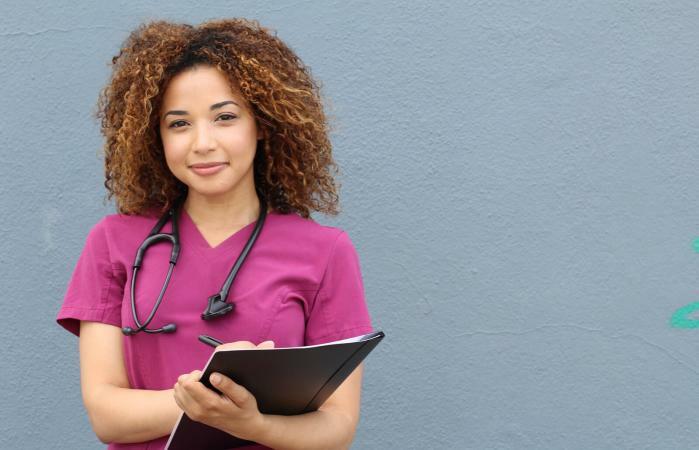 Understanding the different types of nursing job descriptions can help you plan a career in the nursing field. When you know the different duties required, you can plan a career path, especially the necessary educational programs needed to qualify.